What she has learned from “Habit Stacking” that leads to an evolving process of constant improvement. And finally, and not surprising, how lifelong learning fuels a positive attitude on life. Marylou Tyler is the co-author of Predictable Revenue, The book helps sales management discover how to turn managers and their outbound sales force into a B2B opportunity engine - with zero cold calling. Predictable Revenue has been enthusiastically endorsed by Professor Neil Rackham - best selling author of SPIN Selling. Tyler has been focused on top-of-funnel lead generation for 30 years. She has created models, systems and processes for starting conversations with people we don’t know with one goal in mind – create opportunities for revenue growth. Call it account-based sales development, lead generation, sales enablement, demand generation, cold calling, outreach, outbound – her passion has centered around systematizing the process of reaching out to people we don’t know, engaging them in meaningful conversations, and swiftly & respectfully marching them down the active pipeline towards a qualified opportunity. Strategic Pipeline is focused on helping companies deploy a consistent and reliable Sales Opportunity Creation system that will increase new sales contacts, compel them to consider your offer and convert them to qualified sales opportunities. The Strategic Pipeline process is the result of its cumulative experiences in managing rapid growth companies and needing to solve the painful problems of sales pipeline inconsistency and unreliable forecasts. 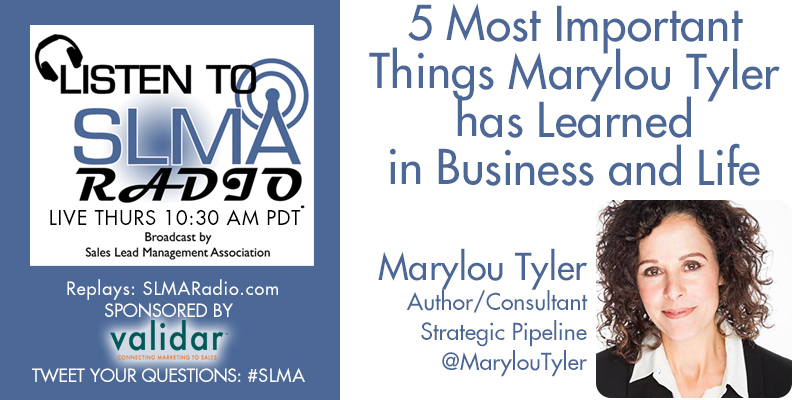 Most recently, Marylou Tyler served as CEO of Predictable Revenue where she and her partner began to formalize an outbound lead generation process which was described in their Amazon best-selling book of the same name. After helping numerous companies over the last two years, Marylou realized there was something more required to assure the best results and together with Bob Kelly started Strategic Pipeline. The “more” that differentiates our approach is embodied in our company byline – Contact. Compel. Convert.